Irish cuisine has long been the fodder of jokes — a kind of penance to suffer through in order to enjoy the people, music, and lush scenery of the Emerald Isle. But that's an outdated notion: Travelers today find fresh, inventive, flavorful meals there — and many Irish towns are working to establish themselves as foodie destinations. Long considered the land of potatoes, Ireland's diet once reflected the country's dire economic circumstances. Though potatoes are still important here, there's no longer a reliance on them, and modern Irish menus often replace potatoes with rice or pasta. 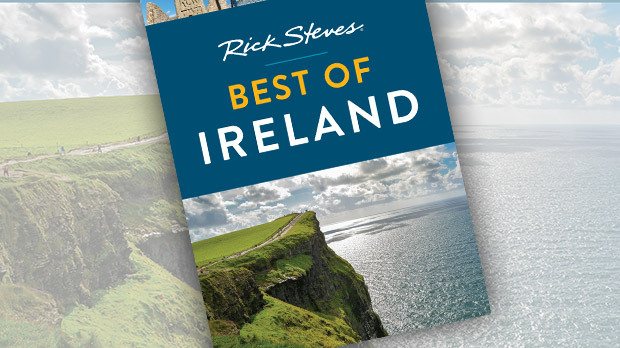 And Ireland has much more to offer: Irish beef, lamb, and dairy products are among the EU's best. Streams full of trout and salmon and easy access to saltwater fish and shellfish mean a bounty of seafood. With these fine ingredients, Irish chefs work hard to put their cuisine on the map. Expatriates have come home with newly refined tastes, and immigrants have added a world of interesting flavors. When I'm in Ireland, I like to start my day with an old-fashioned "Irish Fry" (or an "Ulster Fry" in the North). It's a tasty reminder of Ireland's workaday roots. This big fried breakfast — traditionally what farm workers ate to get them through a day in the fields until dinner — is jokingly referred to as a "heart attack on a plate." With eggs, bacon, sausage, a grilled tomato, sautéed mushrooms, and optional black pudding (sausage made from pig's blood), it's no light fare. To top it off, it's served with juice, tea or coffee, cereal, and toast with butter and marmalade. These days, few Irish folks start their day with such a feast (and thankfully it's easy to find healthy alternatives in Ireland), but indulging in the occasional fry-up is one of the joys of my trips here. Be sure to try each region's culinary specialty. Galway is famous for its oysters (with an annual oyster and seafood festival), Kerry and Dingle have excellent lamb, and County Wexford claims the best strawberries (grab some from a roadside stand in spring or summer). And all across Ireland, you'll encounter traditional delicacies like tripe and black pudding. These kinds of quirky foods come from the off-cuts of meat — and the Irish proudly turn the trimmings into delicacies. A good menu incorporates local and seasonal ingredients. These days, you'll find everything from risotto, to tapas, to Asian-fusion dishes on the menu. Restaurants typically provide a three-course menu, a good-value early bird special, and the regional specialties. When it comes to pub grub, these days it can be Ireland's best eating value. This hearty comfort food is served in friendly surroundings for about $20 a plate. Pub menus consist of traditional dishes, such as Irish stew (mutton with mashed potatoes, onions, carrots, and herbs), fish-and-chips, bangers-and-mash (sausages and mashed potatoes), and coddle (bacon, pork sausages, potatoes, and onions stewed in layers). In Dublin, you can enjoy your Guinness stew alongside traditional music, with experiences like the Musical Pub Crawl Dinner Show. The venerable Brazen Head pub also hosts a "Food, Folklore, and Fairies" evening (more culturally highbrow than it sounds), where a filling three-course meal is punctuated by soulful Irish history and fascinating Irish mythology, with occasional live trad tunes in between. Kinsale, in the south of Ireland, is one of the country's gourmet capitals, offering a satisfying mix of upscale traditional fare and creative modern cuisine. Local competition is fierce, and restaurants offer inventive, tempting menus. In the ever-changing restaurant scene, it's worth a short stroll to assess your options, from cheap and cheery to white-tablecloth elegant. In this seafaring town, seafood is king. The most popular restaurant in town is Fishy Fishy Café, buzzing with the energy of happy diners savoring a taste of the sea. You have to love a restaurant that displays photos of the people who catch its fish. In coastal towns like Kinsale, I look for seafood chowder, pan-fried hake, and banoffee pie (made with bananas, cream, and toffee). Ireland's famous cake-like, dense soda bread complements these meals wonderfully. Dingle is another popular foodie destination with eclectic eating experiences in a charming seaside setting. 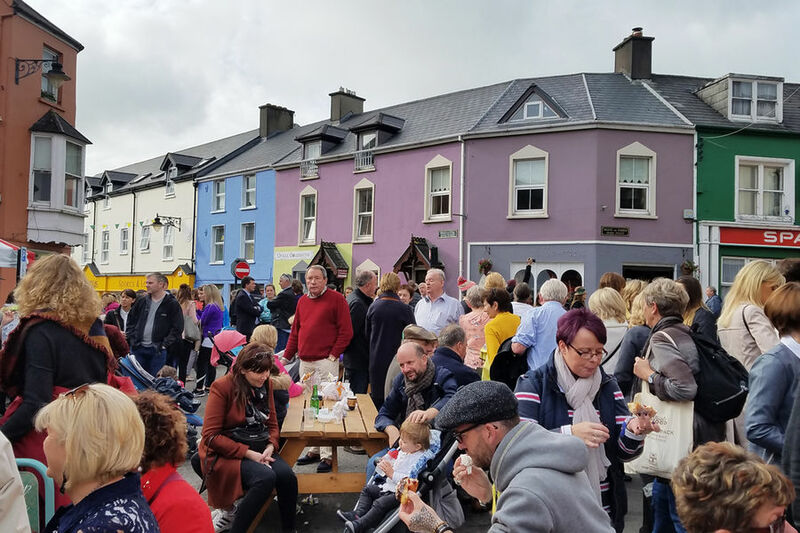 During the first weekend of October, the Dingle Food Festival features everything from Russian borscht to kangaroo skewers in a huge and impressive celebration of food. Pubs and restaurants serve up signature dishes from tents around town, and thousands mingle through Dingle's colorful streets enjoying some of Ireland's finest and most creative bites. Long gone are the days where Irish food was something you ate to survive rather than to savor. Today, eating in Ireland is a rewarding cultural experience — and the secret is getting out, so make reservations for any restaurant you want to enjoy. 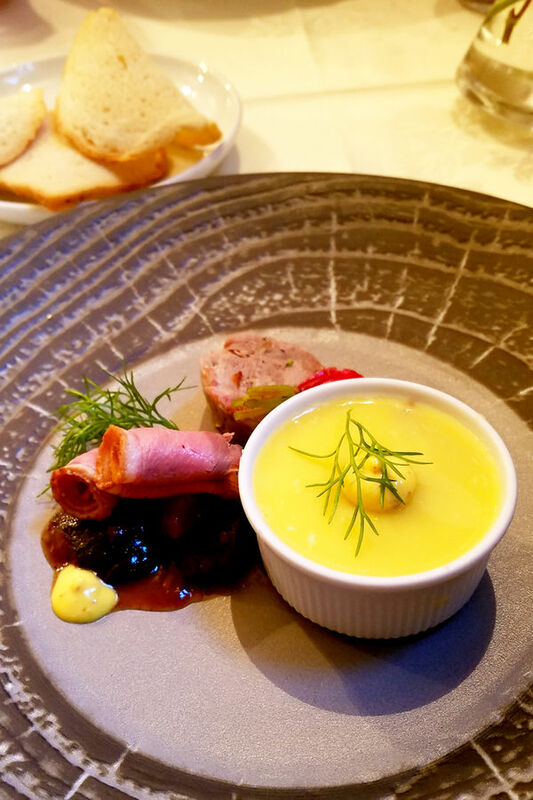 Come hungry, and take advantage of the foodie delights Ireland is serving up.